John's sales area are all cities and towns west of a line starting at Tyingsborough in the north then heading south through Groton, Ayer, Harvard, Shirley, Lunenburg, Leominster, Sterling, Holden, Worcester, Millbury, Sutton, Northbridge and ending in Douglas. 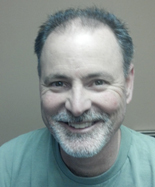 John joined the Sales team at Custom Insulation Co., Inc. twelve years ago in 2001, he brought extensive sales and customer relations experience from his previous career with companies such as Tyco & Heublein. 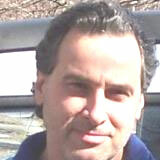 Dave joined the Sales team at Custom Insulation Co., Inc. in 2009 giving him over six years of insulation experience. He also brings 25 years of construction knowledge and experience with a background that covers home improvement, finish work, framing and house construction. Before that, he spent 16 years in the Utility Industry doing installation and construction for Bay State Gas and NiSource. Dave attained his HERS rater certificate about 2 years ago which allows him to provide this valuable service to our customers without inconvenience of having to subcontract an outside service.